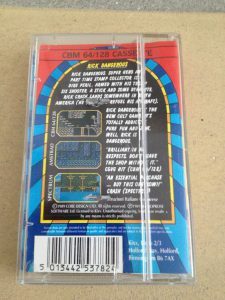 This game is in my top 3 of the most played games on the Commodore 64. Rick Dangerous is an original 2D platform game developed by Core Design. 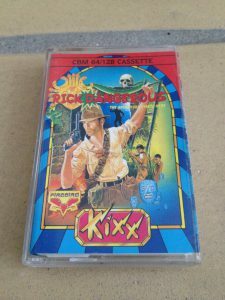 The game theme is heavily inspired by the Indiana Jones movies. They specifically wanted the game to capture the same feeling as the first 5 minutes of Raider of the Loast Ark did. That would be the one were Indiana Jones leaps bottomless pits, dodges poisonous darts and is being chased by giant balls of rock. Rick can walk, jump and climb through the levels. He has several weapons to take out enemies which includes dynamite sticks and a gun. The gun and dynamite both have a limit of 6 ammunition units. However, throughout the game, crates can be picked up to re-stock ammunition. 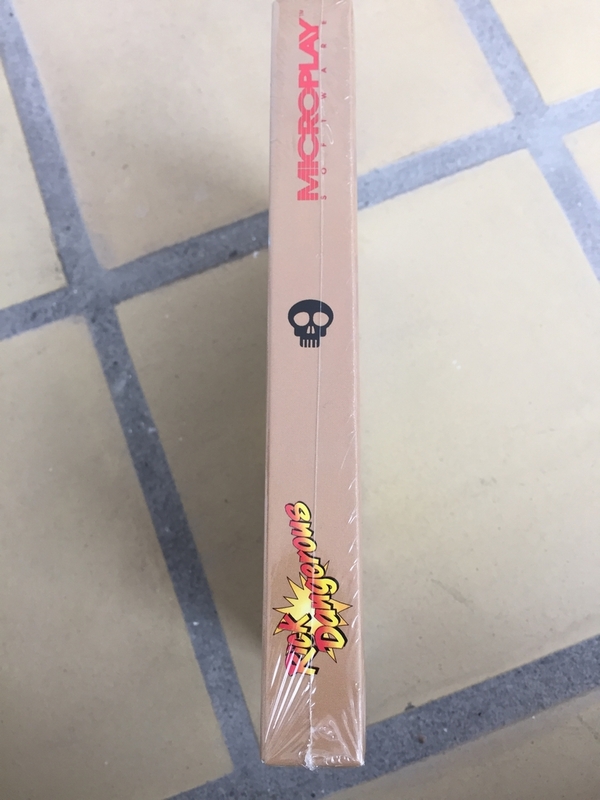 Rick also has a stick type weapon for stunning or pushing enemies. 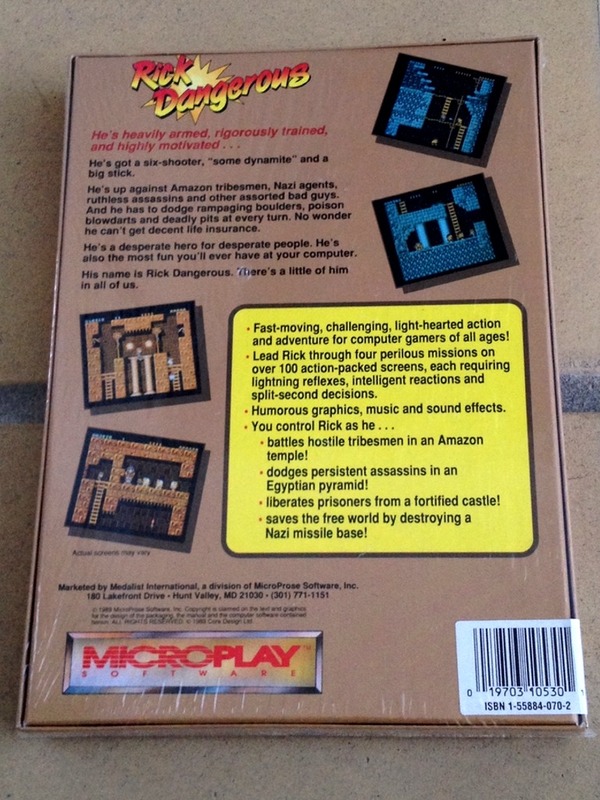 On top of the screen are the remaining available dynamite, bullets and lives. The gun is the primary weapon for killing enemies, while the dynamite is usually used for solving puzzles. However, the dynamite can also be used to take out an enemy if running short on bullets. Furthermore, traps are placed all over the game and most of them have no visible warning. Thus, their locations must be remembered in order for Rick to make it to the end of each level. 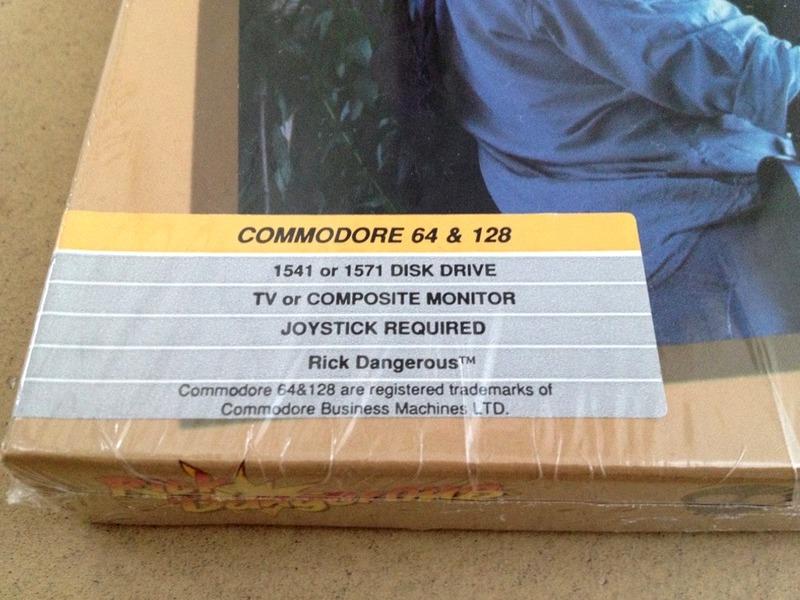 The joystick is used for moving Rick around. Pushing the joystick up causes Rick to jump up in to the air while pulling the it down causes our hero to duck down. Pulling the joystick down diagonally (left or right) causes Rick to crawl along the ground in that direction. Holding the fire button down while moving the joystick left or right causes Rick to use his short stick weapon. Holding the fire button down while pushing up causes Rick to fire his gun in the direction he is facing. Pulling the joystick down casuses Rick to light and drop a stick of dynamite. 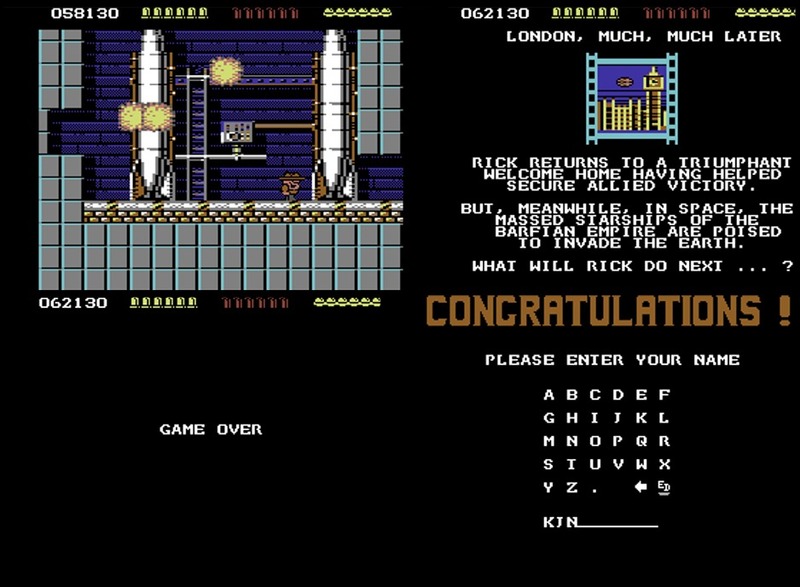 The game follows British agent Rick Dangerous through 4 levels (with a total of 85 screens) containing numerous Indiana Jones style predicaments with heaps of bad guys trying to kill him. In Level 1, Rick travels to the South American jungle in search of the lost Goolu tribe, but his planes crashes and he must escape from the enraged Goolu. The game starts out with Rick having to escape from a rolling boulder, just like the famous scene from the Indiana Jones movie. 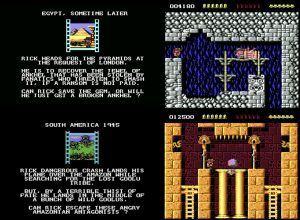 Level 2 of the game is set inside a pyramid located in Egypt as Rick has to recover the jewel of Ankhel by request from London. 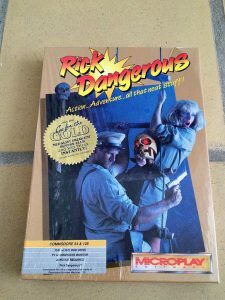 In Level 3, Rick must risk his life and sneak into the Nazi stronghold of Schwarzendumpf Castle to rescue captured Allied soldiers. The rescued soldiers tells Rick that the Nazis plan a missile attack on London. 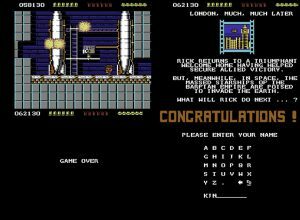 In Level 4, Rick must therefore infiltrate their secret Missile Base and save London before time runs out. After completing his last mission, Rick returns to London and learns that the massed starships of the Barfian Empire is about to attack the earth. I guess this is where the sequel picks up the story by leaving the Indiana Jones motif for a Flash Gordon inspired aesthetic…. I’ve made a little movie of the gameplay of Rick Dangerous. It may not be elegant, but at least it gets me halfway Schwarzendumpf Castle of Level 3. Enjoy! 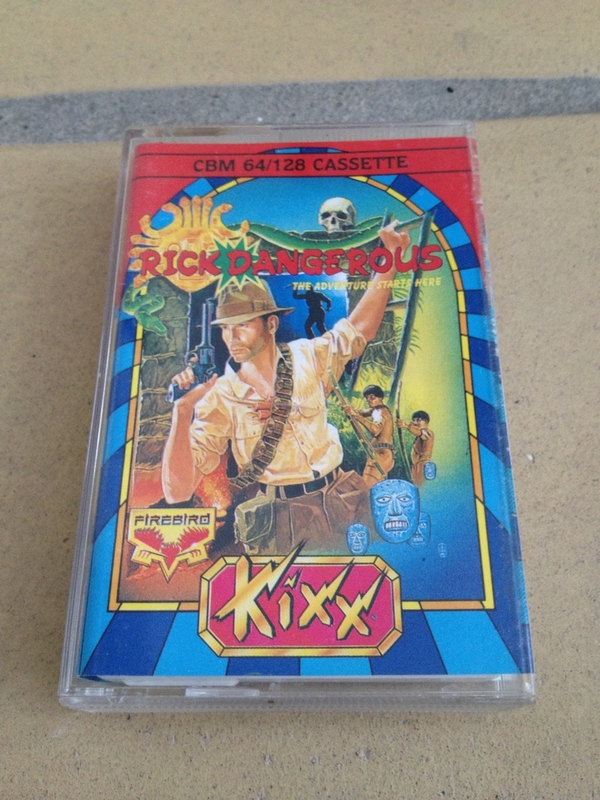 I also have a copy of the European cassette version which costed me a lot less than the disk version…. I’ve spend endeless hours playing this game and I still have not completed it yet. I usually make it half way through Level 3 and then gets killed by a dang Nazi! The hidden traps can be a real pain the first time they get you and remembering their location is the key to unlocking the game. Furthermore, several screens must be passed using an extreme amount of dexterity and timing in order to keep Rick alive. This can be frustrating at times and therefore versions of the game with cheats/trainers are available. Nevertheless, the dangers that Rick must persevere are tough and sweaty palms are just a part of being the hero that saves London! It was also released on cardridge. A friend of mine had it. It’s also on the Power Play 64 Cartridge. 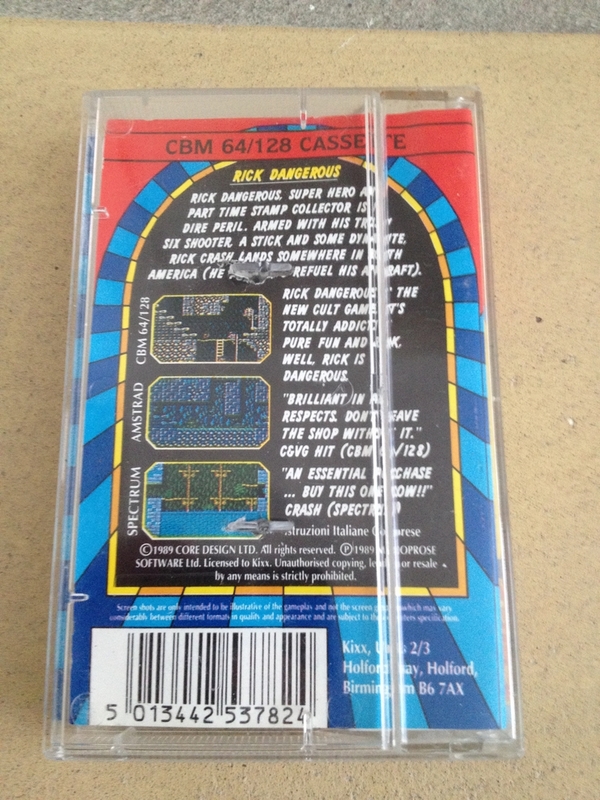 I’ve tried to track down that cartridge (not the Power Play 64 one) for years but without any luck. Let me know if you are able to dig up a photo or something to show that it actually exists 🙂 Thanks. My friend just confirmed that he had the Power Play 64 – sorry.